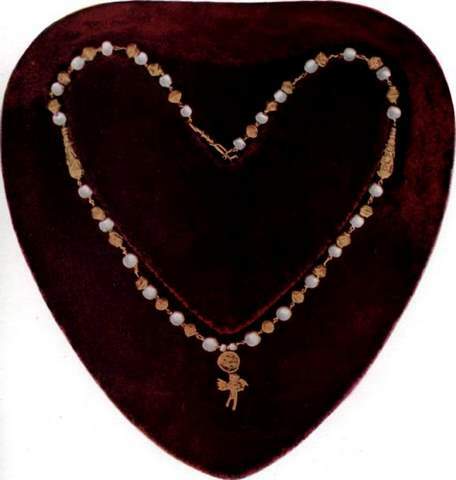 Read about 500 Year Old Pearls from Time of Columbus. commoditie throughout the whole world, are these pearles. Pliny, Historia naturalis. Lib.IX, c.35. Perfected by nature and requiring no art to enhance their beauty, pearls were naturally the earliest gems known to prehistoric man. Probably the members of some fish-eating tribe--maybe of the coast of India or bordering and Asiatic river--while opening mollusks for food, were attracted by their luster. And as man's estimation of beauty developed, he found in them the means of satisfying that fondness for personal decoration so characteristic of half-naked savages, which has its counterpart amid the wealth and fashion of the present day. Pearls seem to be peculiarly suggestive of oriental luxury and magnificence. It is in the East that they have been especially loved, enhancing the charms of Asiatic beauty and adding splendor to barbaric courts celebrated for their display of costume. From their possession of the rich pearl resources it is natural that the people of India and of Persia should have early found beauty and value in these jewels, and should have been among the first to collect them in large quantities. And no oriental divinity, no object of veneration has been without this ornament; no poetical production has lacked this symbol of purity and chastity. In a personal memorandum on pearls, Dr. A. V. Williams Jackson, professor of Indo-Iranian languages in Columbia University, states that it is generally supposed that the Vedas, the oldest sacred books of the Brahmans, contain information on pearls and several allusions to pearl decorations a millennium or more before the Christian era, as the word krisana and its derivatives--which occur a half dozen times in the Rigveda, the oldest of the Vedas--are generally translated as signifying "pearl". 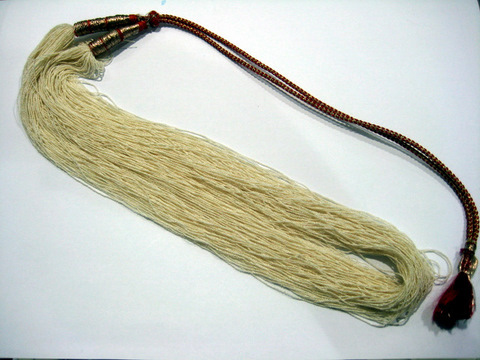 Even if this interpretation of the term be called into question on the ground that the Hindus of the Panjab were not well acquainted with the sea, there can be little or no doubt that the Atharvaveda, at least five hundred years before the Christian era, gives information on pearls and alludes to the amulet made of pearls and used as a sort of talisman in a hymn of magic formulas. Those two great epics of ancient India, the Ramayana and the Mahabharata, refer to information on pearls. The Ramayana speaks of a necklace of twenty-seven pearls, and has pearl drillers to accompany a great military expedition. An old myth recounts the offerings made by the elements as gifts worthy of the deity; the air offered the rainbow, the fire a meteor, the earth a ruby, and the sea a pearl. The rainbow formed a halo about the god, the meteor served as a lamp, the ruby decorated the forehead, and the pearl was worn upon the heart. The literature of Hinduism frequently associates the pearl with Krishna, the eighth avatar or incarnation of Vishnu, the most popular god of Hindu worship. One legend offers information on pearls and credits its discovery to the adorable Krishna, who drew it from the depths of the sea to adorn his daughter Pandaia on her nuptial day. Another version makes the pearl a trophy of the victory of Krishna over the monster Pankagna, and it was used by the victor as a decoration for his bride. In the classic period of Sanskrit literature, about the first century of the Christian era, there was abundant information on pearls and references to pearls, generally called mukta (literally "the pure"); and there are dozens of words for pearl necklaces, circlets, strings, and ornamental festoons, particularly in the dramas of Kalidasa--the Hindu Shakespeare, who lived about the third century A.D.--and of his successors. In the Mahavansa and the Dipavansa, the ancient chronicle histories of Ceylon in the Pali language, are several early Cingalese records of information on pearls and pearls production and estimation. The Mahavansa lists pearls among the native products sent from Ceylon about 550 B.B., King Wijayo sending his father-in-law gifts of pearls and shanks to the value of two lacs of rupees; and notes that about 300 B.C., several varieties of Ceylon pearls were carried as presents by an embassy to India.